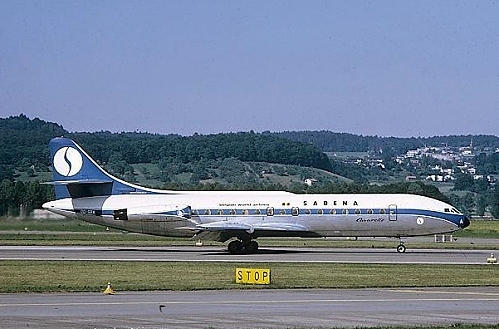 Description: Sabena first Caravelle was delivered on January 20 1961. 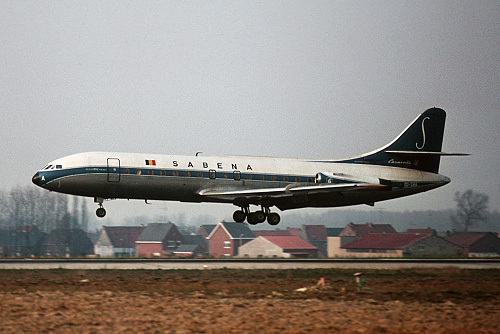 It remained operational till early August 1974 and is here captured in the first (of two) liveries seconds before touchdown on runway 26L (changing to runway 25L from 1974 onwards). 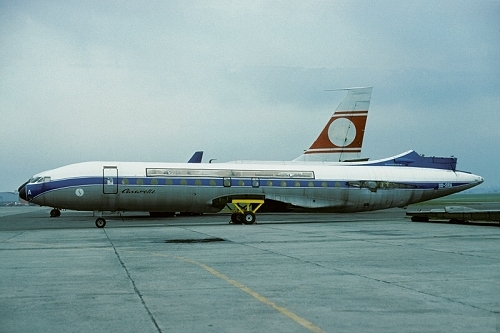 Description: second livery adopted during March 1974. 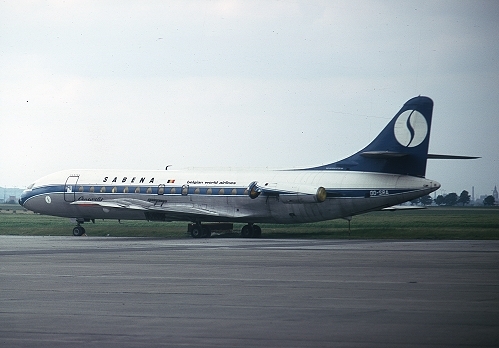 Description: on August 4 1974 it was withdrawn from use at Brussels having flown 28458 hrs. 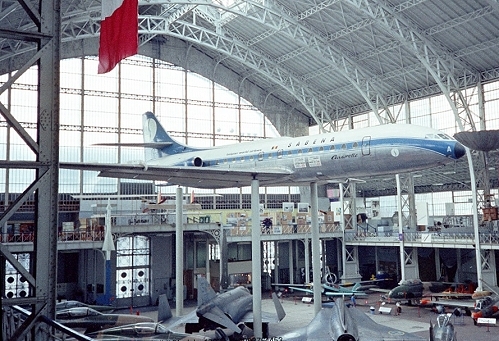 After a period of storage at Brussels Airport, it was on May 5 1975 donated to the Brussels museum for preservation. Here captured in full markings, but with 2x a pair of wheels missing and the engine removed (except for the cowling). Description: it was dismantled in June 1975 for transportation to the Brussels Air Museum which did occur on October 5 1977. Description: it was rebuild at the Brussels Air Museum and is since 1986 on display.